Hardinfo: simple, efficient hardware and system profiler for Linux. Today, in our Linux Page (in Spanish) we have posted a brief but effective review about Hardinfo: the best system and OS profiler we have never found for Linux. Hardinfo is a very useful program specifically created to deeply scan your hardware and create reports in HTML or in plain text formats. We suggest to use this software before upgrading your pc or when you suspect something is wrong with your hardware. Moreover, Hardinfo let you to easily benchmark your pc performance with just a click. Last but not least, you can download the source code or, if you prefer the autopackage file (suggested) which will automatically install the program in your computer. This entry was posted in autopackage, benchmark, Computadoras, Computers & Internet, Desktop, efficiency in Ubuntu, Gnome, Gnome tips, GNU/Linux, Hardinfo, hardware, kde, Komputer, konsole, laptop, Linux, Linux & OpenSource, Linux OS, linux problem, Linux Tips, notebook, Noticias, Noticias sobre Linux, OS independent, OS News, placa madre, repair, Software, Software News, system profiler, Tech, Technology, Technology and Software, Technology News, Tecnologia, Ubuntu 7.04, upgrade on August 19, 2007 by Galigio. 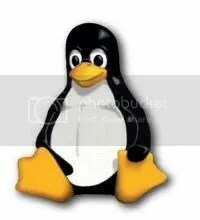 I voted for Dellbuntu! Great to FINALLY see a major U.S. computer merfuactunar/retailer promoting something other than Windows. I wouldn’t recommend Vista nor do I use it. I am fine with an XP/Ubuntu duel-boot (yes, they actually duel). I am considering riding of XP too.